Each professional translator, sooner or later, chooses a particular specialization for themselves in which they would show maximum performance and precision possible. The choice of medical texts which can sometimes make or break a person’s life has a particular significance. In cases of such translation, not only is it important to correctly translate a text, but it’s also important not to distort its meaning. Interpreting of a specialist’s speech, for example at medical conferences. In addition to the linguistics part, a translator has to have highly specialized knowledge of a certain area, have a medical background. Translating from any language of the world includes the nuances of meaning, as well as terminology. For medical texts, they include not only understanding of the drugs, but also working with operation protocols, research, expertise, academic articles and doctors’ treatment recommendations. It is becoming clear that simple translation work isn’t sufficient in this case. Translator’s work has to be controlled and reviewed by a specialist with a specific medical degree. Proofreading is vital, because the translation correctness is less important than its correct meaning. Preserving unified terminology is made easier also by modern technologies, for example software. One of them is Translation Memory. It allows to achieve precision of medical translation, shorten the time spent on the job, and therefore the client’s money. Such programs simply eliminate the possibility of an erroneous interpretation of terminology. During the translation, they use a particular glossary created with the help of the information from world’s leading medical sources. 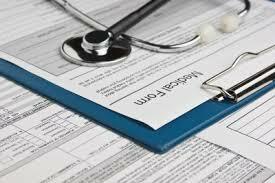 The specifics of working with medical texts also includes working with handwritten documents. As a rule, doctors don’t format their recommendations and documents with a computer, and there simply isn’t enough time for it sometimes. So translators are faced with many handwritten documents, where they can meet various handwritings, Latin, and abbreviations. A professional translator in this field can work with such papers.